The JACL on Feb. 25 issued the following statement on the controversial case of NYPD Officer Peter Liang, who has been convicted of manslaughter for the accidental shooting of an unarmed African American man, Akai Gurley. Liang faces up to 15 years in prison. Protesters have clashed with members of Black Lives Matter who support the verdict. Some Asian American organizations have called the protests misguided and sided with Gurley’s family. The Japanese American Citizens League (JACL), the oldest and largest Asian American civil rights organization, has always stood with those working to create institutional change. In the case of the tragic death of Akai Gurley, we support justice for Gurley, as well as a fair and just judicial process for former New York police officer Peter Liang. Liang’s conviction demonstrates how structural racism can pit communities of color against each other, and only serves to underscore the need for a continued dialogue around the biased treatment of communities of color by the justice system. In the wake of the conviction of Liang, found guilty of second-degree manslaughter and official misconduct in the death of Gurley, a debate among the Asian American community has spread across the country. While conducting a “vertical patrol” of a public housing complex in Brooklyn in late 2014, Liang accidentally fired his gun in a dark stairwell; the bullet ricocheted off a concrete wall, and hit Gurley in the chest. Both Liang and his partner, Shaun Landau, were unable to perform medical procedures on Gurley. Regardless of how these actions are interpreted, one thing is clear — an innocent man died. It is fair to call into question the training of these officers or the state of the public housing complex, as symptoms of deeper systemic issues that enabled this tragedy. It is also fair to question the underlying racial implications of this case, as there is no question that Liang, an Asian American, was treated differently from other police officers who have not been held accountable for actions against unarmed men and women of color. We have seen the struggle for racial equity play out in increasingly numerous violent incidents over the last several years. 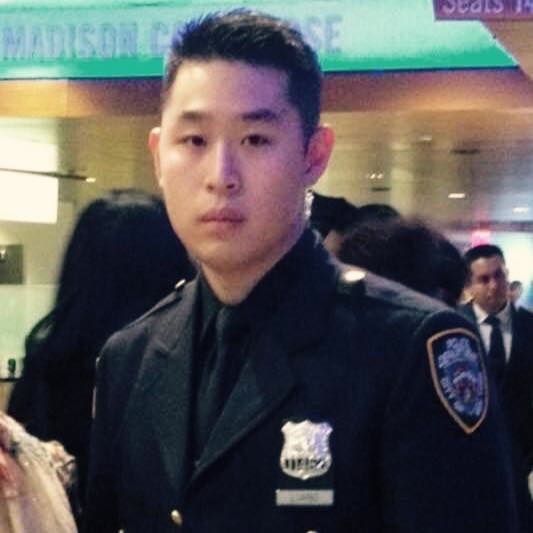 Instead of fighting within our own community, or against other communities of color, we would remind all those invested in this issue that our outrage at this verdict is not because Liang is being held accountable for his actions — our outrage is at a flawed system that allowed officers in similar situations to not face similar consequences. There are no winners in a case like this. We must acknowledge that the justice system does not treat everyone equally, that an implicit racial bias disadvantages the majority of those who go through it, and that we must continue having uncomfortable conversations about race to face the reality of the country we live in. The JACL will continue to work with all who stand together in the fight for racial equity and criminal justice reform.